Are you having a tough time growing your freelance writing business? You pound the virtual pavement every day looking for new clients but they don’t seem to be banging down your door at the moment. Is there a way to easily bring new clients into the fold? In our experience, blogging is a phenomenal way to gain additional exposure for your freelance writing business. You obviously need writing skills if you’re going to succeed, but we’ll assume you’re an excellent writer and you just need the correct strategy to get more freelancing clients. With that in mind, please use the following blogging strategy to expand your freelance writing business beyond your wildest dreams. By using this strategy, you’re taking the long view to creating a successful freelance writing career. Sure, you could continue to apply for job after job on freelance writing boards and get low paying gigs until the cows come home. Or, you can prove your worth by creating your own blog and sharing high-value, top-quality long form content your readers love. When you approach freelance writing from this angle, and you build a wide enough audience for your blog, you’ll eventually have so many writing customers knocking on your virtual door you’ll have to start turning them away. You’re only one person and you don’t have enough time to write for everyone. Getting traffic to your blog in the beginning isn’t easy. We’ll share a foolproof strategy when we get to step three. According to Clockspot, blogging is the perfect platform to use to grow your freelance writing business into a full-time income online. As soon as you create your blog, put up a page promoting your freelance writing business. This page might not get too many visitors in the beginning, but as you begin to blog regularly and establish yourself as a writer worth reading, your readers will begin contacting you with lucrative writing assignments. On your freelancing page, write a short bio letting your readers know about you and your writing service, share links to your most recent popular online publications, and let your readers know your areas of focus – i.e. copywriting, blog posts, articles, e-books, etc. According to Corpina, promoting your freelance writing service on your blog is the perfect way to help your customers find you. Finally, to gain additional exposure for your blog, you need to begin pitching guest post ideas to large blogs in your niches. As an example, if you love writing about Internet marketing, you should pitch guest post ideas to the top online marketing blogs like ProBlogger, Copyblogger, KISSmetrics, Search Engine Watch, etc. By getting additional exposure on these blogs, you’ll have access to hundreds of thousands of new readers. You can tell them about your freelance writing service in your author bio, and if they like your writing style, they’ll reach out to inquire about hiring you for freelance writing work. 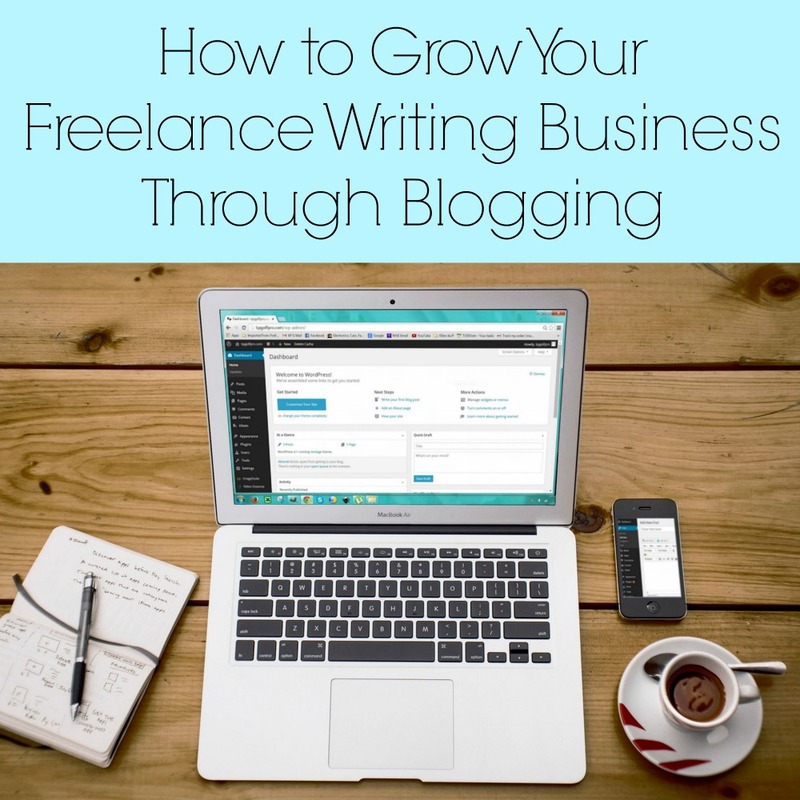 Use this strategy to grow your freelance writing business through blogging. These tips are so inspirational. Blogging is a great way to earn some side cash. Placing ads, selling own products (e-books, for example), writing product reviews, affiliate marketing…the list is endless. There is a huge scope to grow your brand and earn reputation in the online industry. You’ve covered 3-essential points in this post.Looking forward to reading more tips 🙂 Thank you!